It’s been said that what comes easy doesn’t last, and what lasts doesn’t come easy. This adage is especially true when it comes to change. Any change worth making isn’t going to be done overnight and it isn’t going to be realized without difficulty. One Iowa farm is showing the Midwest though that, when it comes to transitioning to soil health practices, the change doesn’t always have to be as difficult as we’ve been led to believe. These results (and their timeframe) certainly run counter to what most of us hear about incorporating soil health practices. We get it. Stop turning over your land, drastically reduce input costs and watch your operation blossom in a short amount of time? Twenty years ago (and to many, still today!) this would have been unheard of! The Prevo family farm is one example of how this seemingly tall tale can be more down to earth than we expected. This is not to say that the Prevos didn’t have their fair share of growing pains. The transition has required a drastic change, first in mindset, then in practice, and the implementation of a year-round management-intensive system. However, for those hesitant to transition to regenerative farming because of the dreaded five-year drag, the Prevos are proving that that notion isn’t a universal truth. Of course, as we’ve continually discussed, it’s not an individual practice that accomplishes what the Prevos have done, but the adoption of a systems approach. Dr. Randy Anderson of the ARS discusses the idea of systems synergy where we stack practices on top of one another (e.g., no-till, on top of, say, diverse rotations on top of, say, cover crops). The result is that the benefit of the whole is far more than the sum of the individual benefits. Kevin Prevo highlights their transition to no-till above, but their success would not have been possible without the incorporation of cover crops. NRCS soil scientist Jason Steele knows this first-hand. If one simply transitioned from till to no-till and left it at that, these benefits would not have been realized (and the increase in yield would certainly be a pipe dream). When it comes to soil health in the future, the “five-year drag” may become a belief of the past. With the stacking of practices like diverse rotations, cover crops and no-till, as well as clarity on how to go about the transition most effectively, you tap into system synergy. 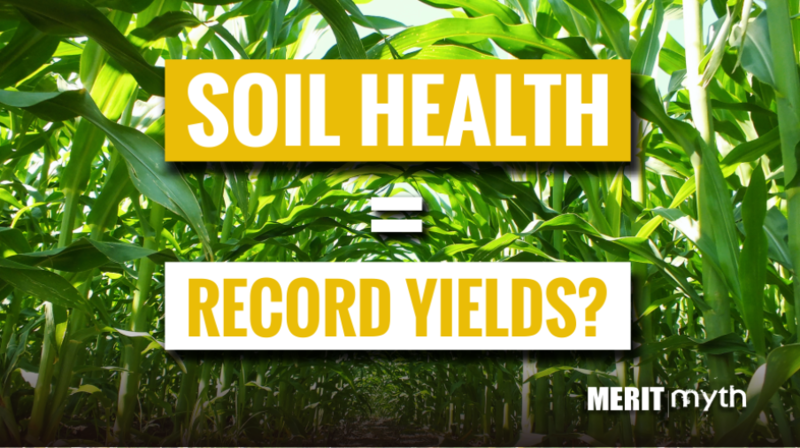 The result: profitable farming and healthy soils can be realized quicker and more fully than previously thought. As far as things go for the Prevos, the horizon is only getting brighter. The family farm is on their third straight year of record soybean yields with corn yields not lagging much further behind. Turn your “weakest link” (i.e. your poorest, most degraded soils) into a strength, increase infiltration rates, and increase yields. Throw on top of this terms like “environmentally friendly” and “sustainable” and you have a recipe for current and future success. Land that is primed to feed your family for generations to come. These are a handful of the reasons why soil health is the farming of the future. Still, the idea of a change in practices looms large. We don’t dismiss this reality. This is where ancient wisdom still has a part to play in helping us move forward.